So, Your Glands Are Up. What Does This Actually Mean? And why do they swell? We all know that feeling of pain or tenderness that can seep into our neck or our armpits when we're sick. Sometimes, it can linger thereafter. We're talking about swollen lymph nodes. New research coming out of the University of Melbourne has shed light on to why they swell -- and what this means for fighting future infections. Lymph nodes are really the control room where the immune response gets started. 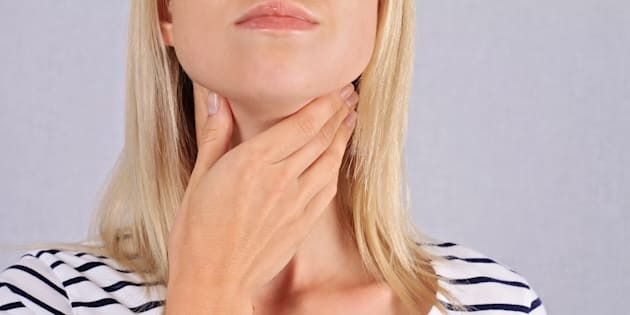 "It's surprising that there's quite a lot known about what lymph nodes do and how they support the immune system, but the 'why' is not well known at all," Professor Scott Mueller, Associate Professor at the University of Melbourne and researcher from the Peter Doherty Institute for Infection and Immunity, told The Huffington Post Australia. "We were interested in finding out why your nodes swell so much when you get get sick and whether that swelling can help you to fight disease." And the findings are optimistic. But first, let's back track. Lymph nodes are small, bean-shaped glands that are found throughout the body and carry fluid, nutrients and waste between body tissue and the bloodstream. Felt near the surface of our body -- around our neck, under our armpits and chin and in the groin -- they are a crucial part of our immune system. "Lymph nodes are really the control room where the immune response gets started," Mueller said. "All of the immune cells congregate there and that's where they are activated before they move through the body to fight off disease." So, why do they swell? Swollen glands usually signal the presence of infection or disease. The study, published in journal Cell Reports, suggests the process of swelling may contribute to immunity against future infection. To unpack this, Mueller and his team of researchers investigated the role of cells that construct lymph nodes during an immune response. 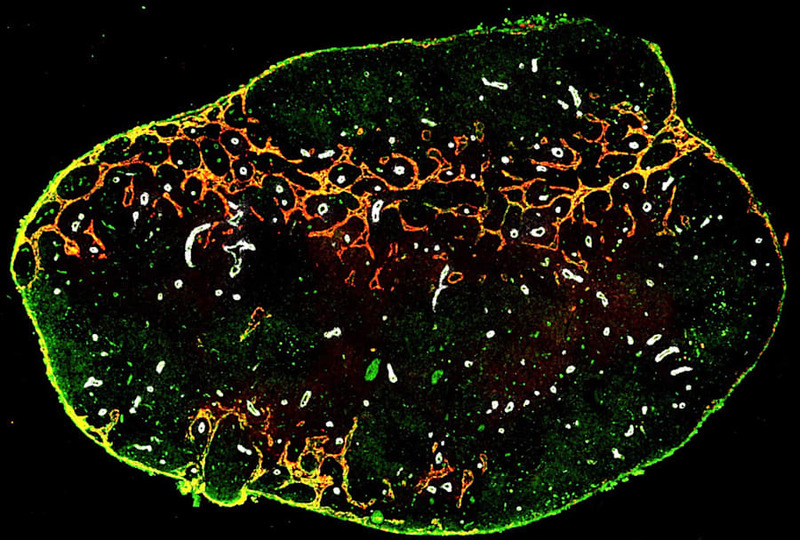 "We started from what we know: lymph nodes are filled up with immune cells. But they are also made up of what's called 'stromal cells' that form the structure of the organ -- like the structure of a house," Mueller said. Rather than being an inert frame, these cells appear to have a function that may help the immune system. "We were able to show that they respond quite dramatically when you have an infection and there are a very large number of genes that get changed to help support the immune response," Mueller said. "This supports the lymph node tissue to grow and and mount an immune response to kill the infection or virus." Yep, you're looking at a lymph node. Ever wondered why your glands seem to remain enlarged when you're on the mend? The study has some answers, allowing the researchers to understand why lymph nodes remain large after an infection has passed. On the one hand, it might actually allow you to remain ready to fight off an infection, but it is also a tissue that might be a target of infection by certain pathogens. "The original thought was that the lymph node, starting as it was before the infection, would swell up and then come back to the size it was before. We were quite surprised to find that this didn't happen," Mueller said. "Once the virus or infection was gone, those large numbers of genes returned to normal but the tissue remained bigger and retained memory of the infection. "It actually remained in a state that allowed it to respond better the next time you get sick, and may potentially help to fight the infection the next time." The findings may pave the way for new targets surrounding disease research and treatment. "The fact that we have revealed these massive changes in genes means there are a lot of new avenues that can help us to further understand the biology behind swollen glands and look to design new therapies," Mueller said. "On the one hand, it might actually allow you to remain ready to fight off an infection, but it is also a tissue that might be a target of infection by certain pathogens," Mueller said. "Because infections and some cancers can cause them, it's crucial to understand the role they play in immunity."